Whatever one's views on the manner in which the material was obtained, the material itself is damning of the AGW proponents involved, and exposes corruption and dishonesty almost beyond belief. Not only do the participants seem intent on hiding and destroying pertinent information, but they also expose an intent to corrupt the peer-review process, to the extent of having a Journal effectively 'blacklisted' for publishing material in disagreement with the AGW proponents, regardless of how valid such material may be. For more info visit MagicJava's website. Symbols of an Alien Sky DVD will introduce you to celestial spectacles and earth-shaking events once remembered around the world. Archaic symbols of these events still surround us, some as icons of the world’s great religions, though the origins of the symbols appear to be lost in obscurity. 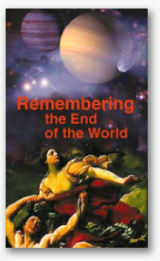 Mythscape: Remembering the End of the World DVD. 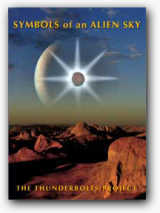 Mythscape was produced before the convergence of Saturn theory with Wal Thornhill and the Electric Universe and provides an historical context for the more recent production of Symbols of an Alien Sky. Available in our product store. 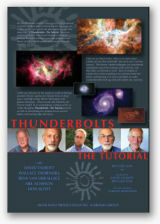 Thunderbolts of the Gods is now packaged with the 65-minute DVD, “Thunderbolts - The Tutorial.” This film introduces you to the key themes of the theory, and includes interviews with the principal figures in Electric Universe research.